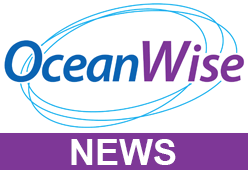 John Pepper of OceanWise Ltd attended the inaugural Irish Pilotage Seminar, held at the National Maritime College of Ireland near Cork, on 3rd and 4th November. The focus for the event was ‘Pilotage today and into the Future’ and was very well supported by Pilots, Harbour Masters and commercial partners from across Ireland, the UK and Europe. Sessions included ‘Emerging Trends under Pilotage’, the Master-Pilot Relationship on-board with an emphasis on training; Azimuth (Azipod) Propulsion Systems and the increasing and innovative use of Portable Pilot Units (PPU’s), for which OceanWise provides specialist products and services which allows port pilots to view and analyse high resolution Bathymetric/Port Electronic Navigational Charts (ENC’s) and real- time environmental data flows such as currents, tides and weather in order to ensure ships are safely berthed.